“It was a very interesting event, because for the first time the material use of biomass was really in the focus, instead of playing the second violin to bioenergy and biofuels only.” It is the opinion of Michael Carus, founder and managing director of the nova-Institut, relatively to the Bioeconomy Investment Summit which was held in Brussels on 9 and 10 November. With Carus, one of the most influential scientists in Europe, we talk about nova-Institut’s new study on biomass supply and demand, the CO2 economy and the circular economy. The issue of the availability of biomass for the bio-based economy is one of the focal points of the research of nova-Institut. In October, you published a new study. What is the scenario that emerges at a glance? Our study on the “Global bioeconomy in the conflict between biomass supply and demand” investigates how much biomass can be sustainably produced globally in 2050, and how much of the demand for food, feed, materials, bioenergy and biofuels can be met by this supply. The nova study gives a detailed view of supply and demand scenarios up until 2050 for Europe and the world. Taking into account a multitude of future trends, it appears that prospective conflicts between creation and preservation of large protected and natural areas and at the same time considerable increase in production of biomass and other forms of renewable carbon carriers can be overcome permanently. 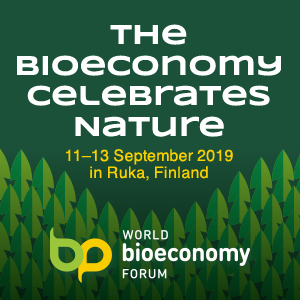 Bioeconomy and renewable energies combined with CO2 utilization can secure the global raw material supply in the long run and sustainably without endangering nature or biodiversity. However, this requires consistent political guidance and huge investments in new technologies. The concept of a CO2 economy is becoming increasingly important. Can you tell us what that means? The company Covestro (formerly Bayer Material Science) is leading in the usage of CO2 for production of CO2-based polymers, which will be the first to produce CO2-based polyurethane foams in Dormagen (Germany) in 2016. This should be the start for a new product family which is based on CO2-based polyols and polymers. Especially far advanced are CCU systems, which generate hydrogen from water with renewable energy via electrolysis, and then use this hydrogen combined with CO2 to produce a variety of synthetic fuels and platform chemicals through Fischer-Tropsch processes. This includes for example the technologies by the German company sunfire and the Israeli NewCO2Fuels. In use are also plants based on modified cyanobacteria for fuel production, which, among others, the company Joule from the USA is building. The automotive company Audi shows up frequently in this context, which is testing a variety of technologies for the production of e-gas, e-fuels and e-ethanol and which is also trying out synthetic fuels for their vehicles. You were at the Bioeconomy Investment Summit last 9-10 November. Did you come home optimistic or pessimistic? 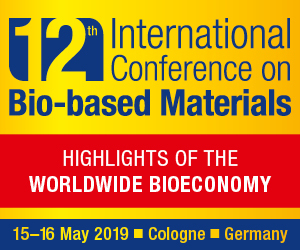 It was a very interesting event, because for the first time the material use of biomass was really in the focus, instead of playing the second violin to bioenergy and biofuels only. 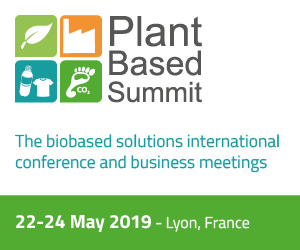 The production of bio-based plastics from starch in Italy, cosmetics from agricultural by-products in France, a full range of chemicals from wood in Finland and fine chemicals from algae were all represented, illustrating the full range of the European potential in bio-based chemicals and polymers. Meanwhile, several DGs of the European Commission are more and more aware of this potential, too. Marcel Wubbolts, CTO of Royal DSM, said at EFIB 2015 that “the bioeconomy is an integral part of a new circular thinking”. Do you agree? How is it possible, from your point of view, to anchor the bioeconomy concept in the circular economy package? Of course the bioeconomy belongs to the circular economy. Bio-based products can be reused, repaired and recycled – just as petrochemical products or products from minerals or metals. But the bioeconomy adds another circle. Some bio-based products are biodegradable and therefore bring as an additional end-of-life option the organic cycle. I hope that this will be integrated in the Circular Economy Package proposed by the Commission.